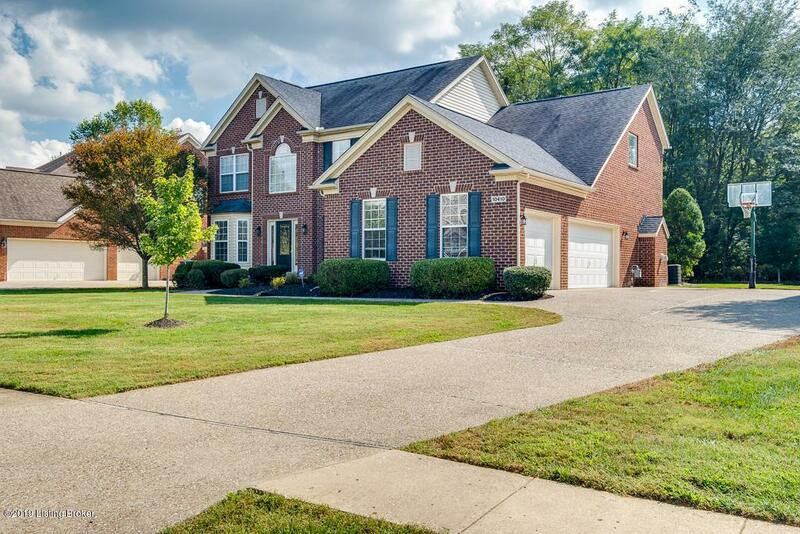 This gorgeous traditional two-story home is desirably located in the Oldham County section of Glen Oaks. Elaborate crown molding detail and french doors provide a sense of formality in your home office, offering the luxury of working from the comfort of your own home. Adjacent to the large formal dining room is a flex space which allows the versatility of use as a second office, playroom, or additional living room. Accommodate large parties and gatherings effortlessly in the large eat-in kitchen and family room. The open concept of these two rooms allows entertaining with ease. The kitchen is equipped with stainless steel appliances and abundant cabinetry for maximum storage. The large window in the family room affords a beautiful view of the rear yard. The first floor (continued)>> additionally offers a convenient powder room and spacious laundry room. 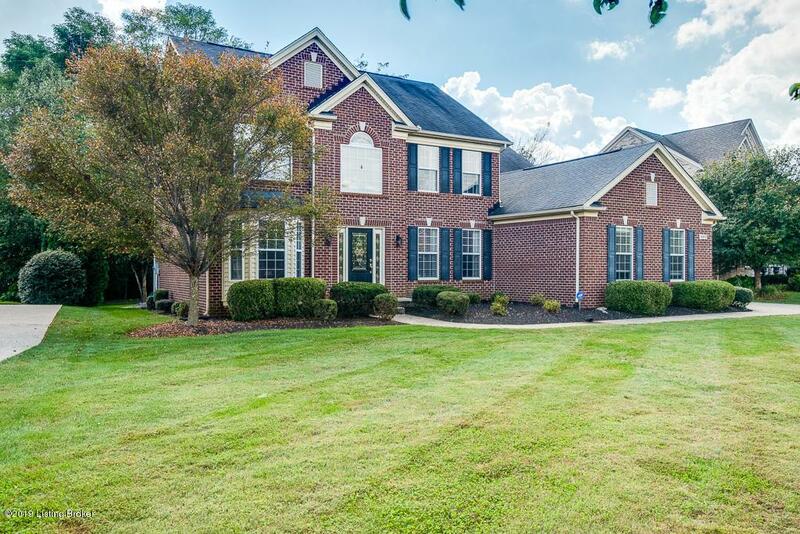 10410 Championship Court has 4 bedrooms and 3.5 bathrooms. The spa-like Master Suite offers tranquility with its vaulted ceilings, calming wall colors, and stunning finishes. Relax after a long day in your soaking tub or utilize the seamless glass walk-in shower. Bedroom two has a large closet and navy blue accent wall, which tastefully contrasts with the abundant natural light coming through two large windows. Bedroom three has private access to the hall bath. Bedroom four has a large beautiful window and shared use of the full bathroom from the hallway. The finished lower level is being used as a play area by current owners. This extra large space could be utilized as an additional family room. You will find this home situated on a sweeping lot. The yard and landscaping have been meticulously maintained. At the back of the home, a natural privacy fence of arborvitae and mature trees offer you a natural privacy barrier from the golf course. Host guests for an alfresco dinner on your beautiful flagstone patio, located conveniently off the eat-in kitchen. Enjoy all the benefits of living in Oldham County, just on the edge of Jefferson County. 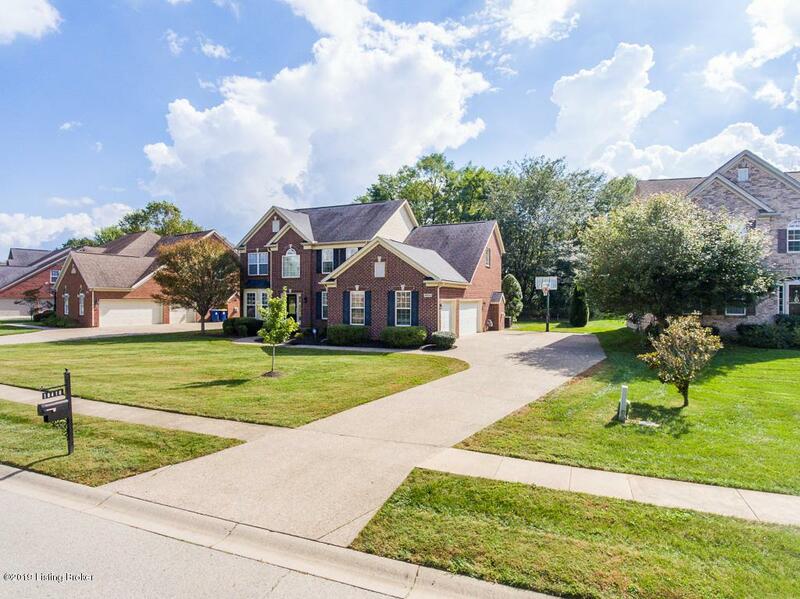 Glen Oaks is a beautiful neighborhood with a semi-private golf course and is located across from Norton Commons and its many shops and restaurants.